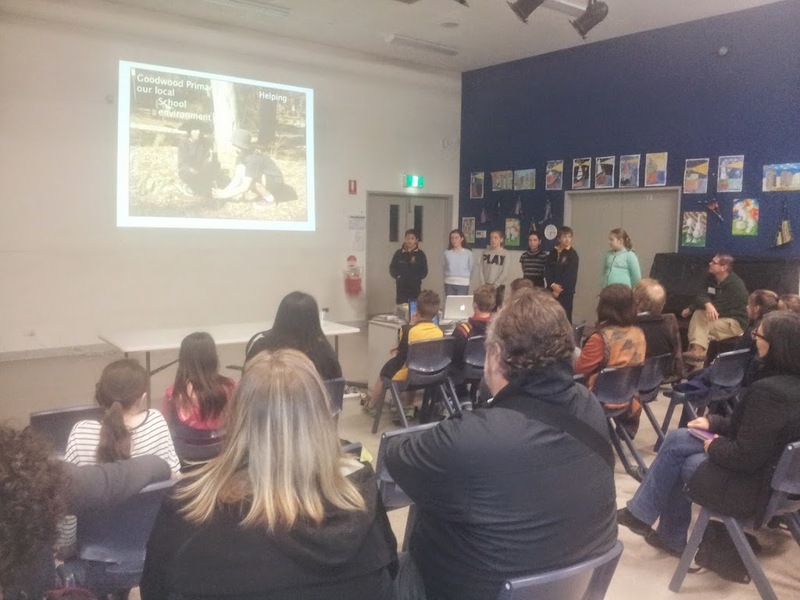 A startling fact was provided to a small group of home owners in Goodwood and surrounding suburbs at the wildlife preservation presentation at Goodwood Primary School on Thursday night. That was the revelation that it is us, those who own property in the area known as the City of Unley, who are responsible for the loss of native fauna and flora. As the map below shows very little is owned or under the control of governments, whether Federal, State or Local. The remaining 61% is owned by you and me. And before you say it does not add up to 100, roads account for the other 23%. The areas in pink on this map are you and me. 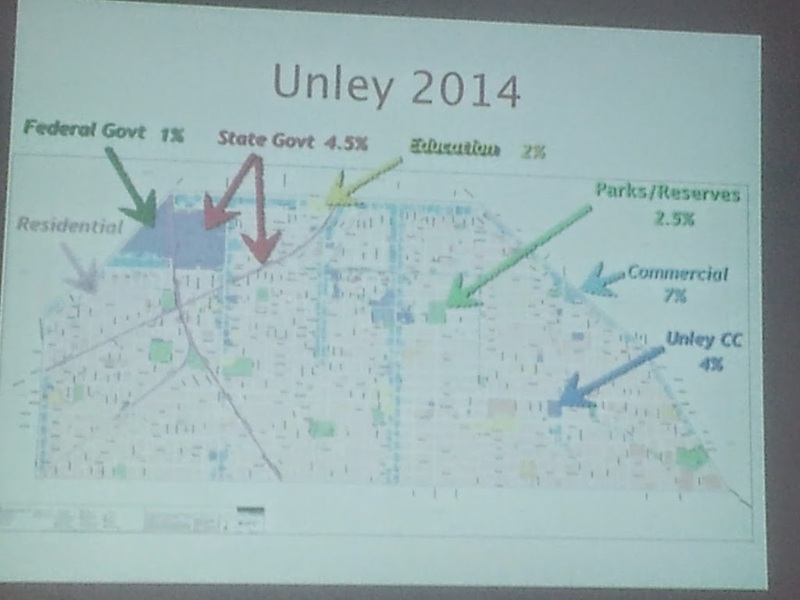 After the original settlement of Unley most of the blocks were built on only to around 30%. In recent times the larger blocks have been carved up and we are covering regularly 50%, 60% and even up to 70% with housing stock. This invasion is long before the recent invasion by DPTI of the electrified rail corridor. DPTI, to their credit, were a key stakeholder in the recent wildlife project along the corridor. Before the project started they listed the expertise of Zoologist James Smith (see previous Wildlife post) with their concerns about wildlife degradation. 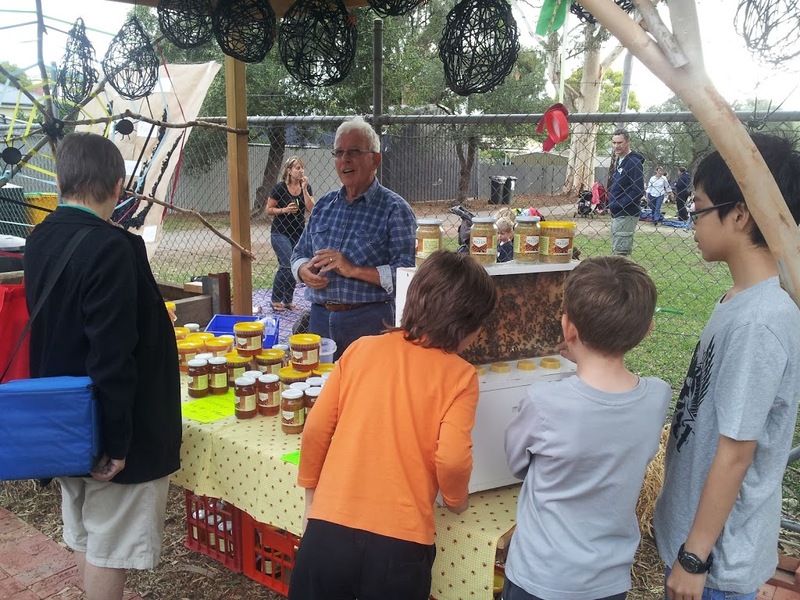 Goodwood Primary School students gave a presentation along with James Smith, Zoologist and founder of fauNature, as to how we might not only protect our native fauna and flora but increase it within the boundaries of the City of Unley. The presentation was at the School and was most informative. 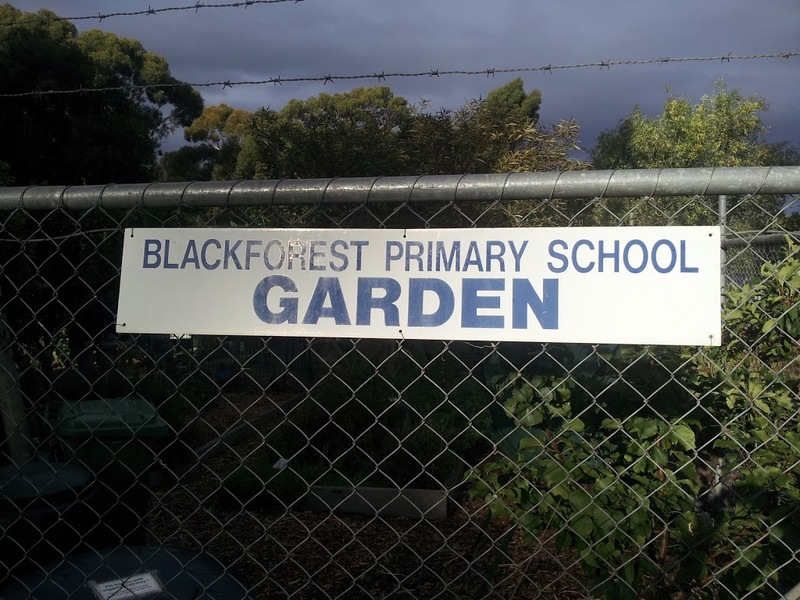 The students of this school, and indeed nearby Black Forest primary School have been leading the way in nature preservation. We can all be proud that our little neck of the woods are so proactive. Part of the promotion covered how both schools have been helping to reduce the impacts of habitat loss along the rail corridor. 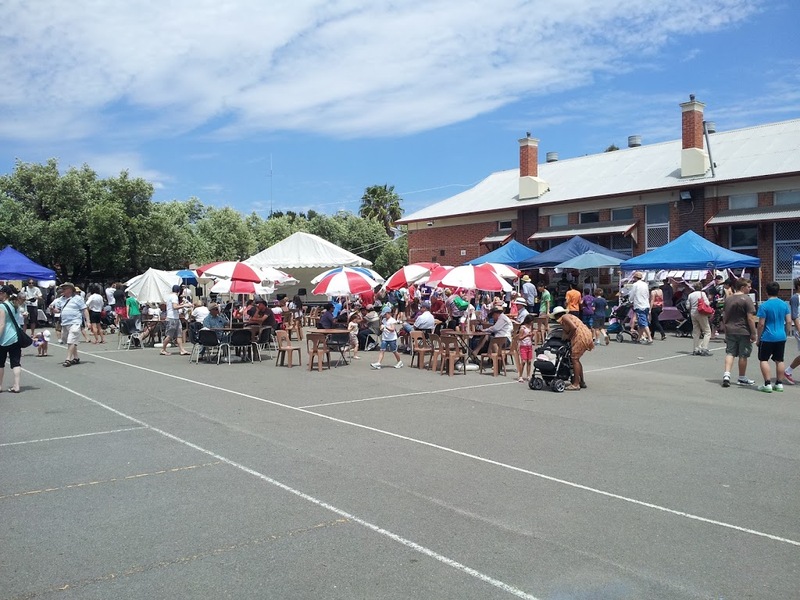 This project was done in conjunction with DPTI, City of Unley and the Toys workshop at the Clarence Park Community Centre. This project fits neatly into Councils Greening component of our Strategic Plan (from the Community of Possibilities). Our future is in the hands of these young people, which is encouraging. I jut hope we don’t blow it before they get to influence directly. The message has to get out there that we (you and me) are responsible for the future. We cant blame governments. Look for my next post on this. Last night I heard my momma singin’ a song, cooee, chirpy, chirpy, cheep,cheep. Where’s our trees gone might be the song we have been singing for the last 12 months. 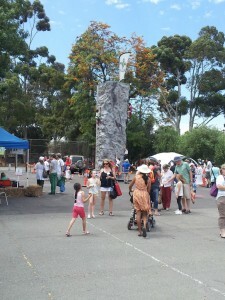 But now we can sing and rejoice the birds are coming back, thanks to DPTI, Council and our local school kids. While we await replanting of lost trees (on a three for one basis) and aware of the impact these works of the impact that the Rail Revitalisation Project has had on flora within the western suburbs of the City of Unley, DPTI and Council have worked collaboratively on a Community Wildlife Project to provide nesting boxes through neighbouring streets, schools and private properties adjacent the rail corridor. Fundamentally the aim of the project was to provide alternative nesting sites for fauna that may have been displaced by the loss of vegetation, specifically trees from the rail projects. 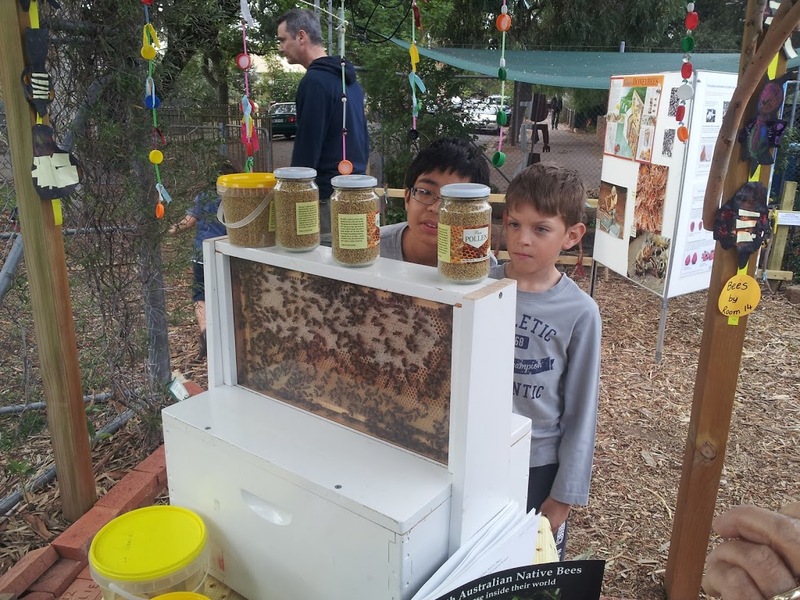 The boxes have been placed in trees near the rail corridor (Goodwood Primary School, Forestville Reserve, Black Forest School, Devon Street & Railway Terrace, Lyons Parade, Cromer Parade and Goodwood Oval). The Council has supported this project and agreed to take on board the longer term maintenance of these boxes. In total 42 fauna boxes are located in trees near the corridor as part of this project. With DPA 2 going out to public consultation early next year the focus will be on what form the housing stock will take. The use of the road network within Black Forest, the subject of the current Local Area Traffic Management review, will likely change well beyond anything the review will identify if the consolidation envisaged for the housing stock, and the Governments plan for South Road both proceed. There is a high chance that there will be a significant increase in density along Aroha Terrace and near environs. The Emerson area is likely to be similarly impacted. This is a good reason for residents to get involved in the public consultation; to help influence what will happen in these two areas. Of more significance however is the plan by both parties at State Government level to make South Road a non-stop highway. Check my earlier post today on the announcement by the Feds that South Road, south of Anzac Highway will proceed as promised. Two things are likely if this does occur. The first is that a solution must be found for the Black Forest Primary School South Road pedestrian activated crossing. The second is there will be extremely limited access to and from Black Forest onto South Road. On the latter I encourage all Black Forest residents to acquaint themselves with the State Government’s Transport Plan so they can understand the access/egress challenges they will face. There arguably will be benefits by keeping outsiders out of Black Forest but equally getting in and out will require a change in current methods used by residents. State Liberal Leader and Shadow Minister Transport and Infrastructure Vicki Chapman, Liberal candidate for Ashford Terina Monteagle, Councillor and deputy Mayor of Marion Tim Pfieffer, and parents of Black Forest Primary School. The meeting was arranged by one of those parents to discuss concerns about child safety for children living in Glandore (west of south road) accessing the school (east of South Road). DPTI apparently have preliminary investigations into a possible solution, dismissing an underpass as too difficult given all the underground infrastructure in the area. An overpass then becomes an obvious solution to investigate. Investigations, community consultation, detailed design etc does not happen fast on Government however and it may take 5 – 8 years for it to become a reality. Better start looking now if that is the case. Of course with a possible increase in population density on Black Forest and indeed west of the road in Glandore (adjacent the tram line etc) it may be feasible to consider a new school west of the road. 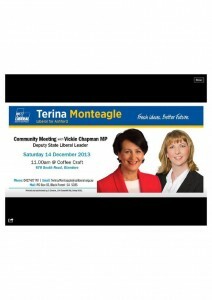 With a state election around the corner this is a cause likely to gain some momentum in the new year. Funding Approved for Darlington Interchange PLUS. Federal Assistant Minister for Infrastructure and Regional Development Jamie Briggs today confirmed today the Federal Government will hold good to their promise re the Darlington Interchange, with a bonus. The good news for residents of Black Forest is the funding covers the section of road from Darlington through to Anzac Highway. This may include an overpass at the Black Forest Primary School because it (the crossing) will stop what will otherwise be a continuous non stop road. The initial funding is $ 8.5m out of their full $ 500 million package for the whole of South Road covers the interchange and they are working with the State Government to ensure the project starts as soon as possible. The Darlington Interchange will be the clear focus of the project but work is expected in time on making South Road a 6 lane highway as it were with some 63 current intersections removed. This will mean the incidence of southern rat runners will reduce when completed because access into Black Forest will be available only for locals. 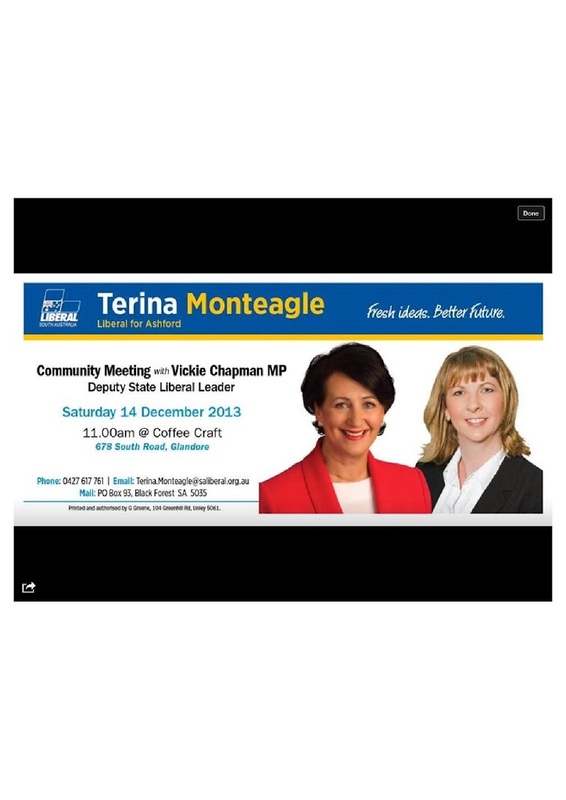 Not sure how that will be accommodated and I wonder if DPTI do either, yet. Yes, whilst Federally funded it is a State Government Project and therefore DPTI will design and project manage the project. For those with an interest in the northern end of South Road planning of the Torrens Road to Torrens River will continue using funding provided by the last Federal Government. Jamie Briggs indicated he is looking forward to working closely with the State Government to plan and deliver this vital piece of infrastructure for the benefit of all South Australians. And my understanding is that the design and implementation will not vary irrespective of which party wins the March State election. If you are concerned about the safety of the Glandore residing students of the Black Forest Primary School, if you believe an overpass is required across South Road, Black Forest to accommodate this then I encourage you to attend this community meeting tomorrow morning. 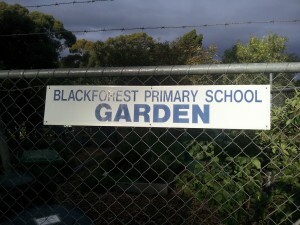 Black Forest Primary School, the leader when it comes to things horticultural had an Open Garden last night. 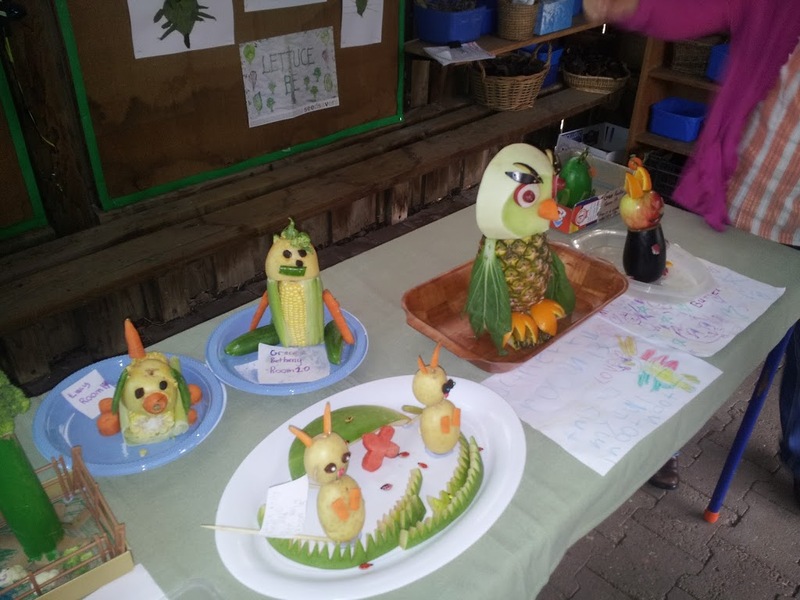 I dropped in to have a look and was immediately impressed with the work of the children at that school with their garden. One young lad, as I arrived, was excitedly trying to explain what he and his mates had been doing in the garden to his grandmother. It was a good night and everyone was clearly enjoying themselves, and learning at the same time. And there was entertainment as they always should be at school events. 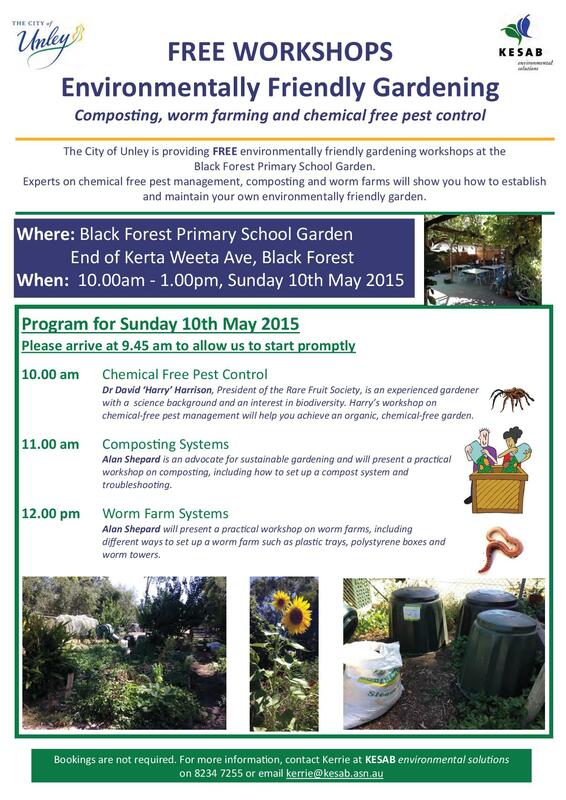 Everyone is invited (entry is free) to attend black Forest primary School’s Open Garden. Black Forest primary School held their Annual Fete today and it certainly looked like it was successful. There were big numbers of people there while I was there. I saw many people leaving as I was arriving as well, along with many people arriving when I left. 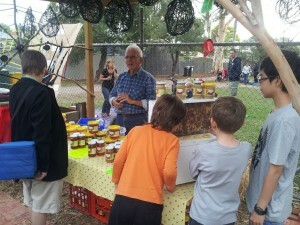 A huge number of stalls attracted attention from everyone there. Possibly the most popular while I was there was the $ 20.00 soft drink stand as the temperature conditioned as for the oncoming summer. The kids looked like they had a great day. Well done BFPS. You are a leader in your industry.